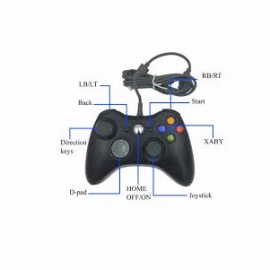 The game pad is easy to use and delivers smoothly without any interruptions and has been meticulously designed to give you the best performance in every way. It is lightweight and is easy to be handled. The long USB cable allows you to move around and enjoy more fun and activity as you attach it to the PC during gaming. By properly controlling the set of action buttons on the right of the joystick and the controller on the left, you can always stay ahead of competition, both on the virtual race track and on the battlefield.